Turkey: Locally-Made Generator to be Installed on 10 MWe Geothermal Power Plant - The first Made-in-Turkey generator ever supplied in the Turkish market, designed by Nidec ASI, will be installed on a 10 MWe geothermal power plant for Exergy’s customer Kiper Elektrik Üretim A.Ş., part of Kipaş Holding group. USA, Colorado: Geothermal Software Developer Seequent Expands Operations in the USA- Seequent today announced the opening of an office in Denver, Colorado, to support its growing client base in the USA. United Kingdom: Drilling Starts This Week at United Downs Geothermal Power Plant - The aim of the initiative is to demonstrate the potential of the geothermal resource in the UK to produce electricity and renewable heat. The plant will supply up to 3 MWe of electricity which is enough energy to power 3000 homes. Nicaragua: All Recently Drilled Wells Successfully Connected at 65 MW San Jacinto Geothermal Project - Along with the commissioning of a new separator station on pad 12, HPS3, steam production has been sufficient to bring the San Jacinto plant close to its 77 MW (gross) nameplate capacity. At this time the plant is operating in the 70-72 MW (gross) range. USA, Nevada: Ormat Reports More Than 5% Increase in Geothermal Electricity Revenues- Ormat opted out of the Galena 2 PPA with NV Energy Inc., and reported a one-time $5 million termination fee. Kenya: The Importance of Geothermal Energy to Continuing Economic Development - In 2010 fewer than one in five Kenyans had electricity. Now some 60 percent do—thanks mostly to geothermal power from the East African Rift. Taiwan: 8 MW Yilan Geothermal Power Project Begins - The planned wells -- one of which will be a production well and the other a re-injection well -- are estimated to yield an installed capacity of about 2 MW, Tai said, anticipating that the exploration will be a success. United Kingdom: The "Grandfather of Geothermal" Answers Questions on the History of Geothermal Exploration in Cornwall - 45 years of geothermal in Cornwall - some unanswered questions from Tony Batchelor. 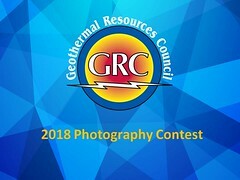 Costa Rica: 55 MW Borinquen 1 Geothermal Power Project Postponed - Report - The so-called Generation Expansion Plan determined that ICE has the installed capacity to meet the electricity demand of the next decade, the president of the state-run Costa Rican Electricity Institute (ICE), Irene Cañas said at a press conference. Latin America and Caribbean Region: Tremendous Potential for Geothermal Energy - World Bank - This report is envisioned to be a decision-makers’ guide for assessing key challenges and measures to facilitate expanding geothermal development in LAC.